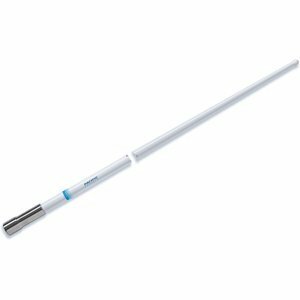 VHF UltraGlass AntennaElegant looks and execellent performance combine to make an industry Series Antennas are a breakthrough: the only marine antennas in the world which can be removed and remounted on the boat at the user's convenience. The cable is hardwired to the Pro Series mount, so the antenna can be removed without pulling or cutting the Pro Series antennas are superbly finished, with glossy UltraGlass and stainless steel ferrules to enhance the appearance and strength of the antenna. LongReach Pro Series antennas are designed for customers who demand the Pro Series antennas must be used with LongReach Pro Series Mounts, which give the options of side, deck or pipe mounting your antenna. If you have any questions about this product by PACIFIC AERIAL, contact us by completing and submitting the form below. If you are looking for a specif part number, please include it with your message.